This coat is pretty basic; perfect for the faux fur fabric Burda is using here. It’s cute – the collar looks really cozy, and the slanted patch pockets are a fun and somewhat practical detail. I just can’t ever really get too excited about fur coat designs. They are simple of necessity, and the finished product is nice, if you are wanting a fur coat, but there’s never really much to get really excited about with them design-wise. This blazer, on the other hand, has some beautiful design details. I love how the pocket flaps are rotated to the side to create almost a faux peplum effect. The collarless style is pretty sleek looking too. Super stylish. I’m a bit torn on this one – I like the burgundy version with the slim pockets, but I’m much less of a fan of the brown version with the patch pockets. With the design-heavy burgundy print, this simple style of jacket makes sense; it lets the fabric shine. On the brown version the patch pockets are almost too much of a contrast and take up so much of the front of the jacket it seems unproportional. The piping details are fun though. I’m pretty sure I’ve seen both this bodice and skirt from Burda before, though perhaps not together in the same dress. I like this dress, but I’m not wowed by it. I also think it is much more successful in the matte wool crepe-like fabric than the ultra shiny satin. Also, as a heads-up, this pattern is sized in the Burda Tall range. I really like this wrap dress, but, it is just a wrap dress. I know wrap dresses are always in style, but between this issue and the Vogue release it feels like they are having a bit of a resurgence. I like the really classic shape of this one, and the drape of the skirt is quite pretty. It’s nearly impossible to see the detail of this dress in either the model photo or the garment photo, but the line drawing shows lots of nice seaming and top stitching details. This could be a great office dress for the fall/winter, especially over tights. Not sure about the crazy boots the model is wearing, but, you know, to each their own. Ok, I know this is a really basic sweater/sweatshirt, but I’d totally live in this all winter. The slightly oversized slouchy style looks so comfortable! It’d be a great way to use up some knit fabrics too. And the hoodie version is pretty cute as well – the different pocket detail elevates the look a bit beyond the typical sweatshirt style. This wrap top is the same as the dress from above. I still like it. Interesting how they showcase it being worn over a button down, almost like a cardigan. I wonder how well the wrap stays wrapped. This is a pretty basic button down. I prefer it in the printed fabric – it looks so much more comfortable in the less stiff fabrication. I do like the curved hem, and the slightly oversized fit could be interesting for layering, as shown to the right. I believe this is a faux-wrap top? The bottom has a faux-wrap peplum-ish style anyway. The pintuck detail is an interesting feature. Based on the line drawing I’d not have been too interested, but the model photos are kind of selling me on this look. The gathered dropped sleeves seem like an interesting detail, but this top really looks like it’s just swallowing her. Perhaps in a different fabric I’d enjoy it more, but, as is it’s a bit much. The oversized drapiness doesn’t bother me as much with this pattern, perhaps because of the more fitted sleeves? It might still be a lot of volume for some people to wear, but she at least doesn’t look like she is drawing in the top, despite it being objectively wider than the previous style. I’m always up for a good knit top, and this one seems decent. The side gather could be a fun detail, as could the diagonal seam, which provides some possible color blocking options as well. I like the boat neck, and it’s kind of just nice to see an option that isn’t massively voluminous or showcasing crazy flouncey sleeve features. Can I just ask – who is wearing this in the fall? I mean, culottes with boots, sure, Burda’s done that before. But in a drapey rayon challis crazy print? I’m not buying it. In the summer beach issues, sure. But for almost winter? Nope. I can’t tell if the contrast is just a design feature or an actual kangaroo pouch pocket. I think I prefer the waistband contrast over the possible faux-pocket contrast, but at least Burda is trying to create interesting details with this design. Sweatpants. I feel like we’ve gotten a lot of these slightly baggy, slightly cropped, slightly tapered sweatpants lately. I’d consider making these for lazing about the house, but not so much for actually wearing out and about as a fashion statement. Ok, I’d like to say that the slight elongation and slimmer fit made these feel more professional, but they seem to have about the same level of fit as the sweatpants above. And the same pockets. And the same side zip. And almost the same waistband. Like, I don’t mind having multiple versions of the same pattern, but don’t give me two versions of the same pattern and say they are a different pattern. This flower dress was in the October preview for this month, and it gave me such high hopes for this issue. Sadly, this dress is one we’ve seen before. It’s a good style – I really like it on the models and in the line drawing, but it’s not something that was missing from the BurdaStyle Plus line. I’m also tragically sad that the red coat was just a prop and not an actual pattern because I really wanted to see that worn by the model. Another dress that is cute, but not particularly new or exciting. I do like the sleeve ruffle here – it’s a cute detail without being overwhelming. The tunic version is great as well – it could also be a much sleeker version of the dress if you aren’t into all the frills. I like this wrap over blouse, but it really feels like leftovers from last month, especially in this bright purple color. The understated ruffle is working for me here – once again it’s cute without being overwhelming. Based on the line drawing I thought this top would look massive, but I actually think it looks really cute on the model. The neckline is great – interesting, but still chic and clean. I love the vintage nod with the hair and styling too. To be fair, the bat hoodie is kind of adorable. Especially if you have a kid who is into Batman or Batgirl. The swan… all I can think of it Barbra Streisand. The pretty Burda Plus coat! I love the soft tailoring, the fun collar, and the inseam pocket details. It’s definitely a coat that could dress up or down, depending on fabric choice, and it would look great with many a fall and winter look. Hands down the most exciting pattern this month. Well, unless you really love Batman. The crazy summer culottes! Honestly though, these are a tie-waist culotte made in a crazy print fabric. There aren’t any exceptionally exciting features to redeem it. I mean, I do like the effect of the waist tie, but I feel like it could make it harder to get the garment on or off. I can’t even say I like the way Burda styled it here – it seems so disconnected from, well, everything. It probably wouldn’t have been in the bottom had it been paired with a bikini in the summer, but, as presented, it really is kind of a BWTF. And there we have it – another month down, and one more issue left to go! I’m really hoping for something good in December – I really want some fabulous party dresses Burda! Or, well, something more exciting than this lot in any case. I feel like November has often been one of my favorite issues of the year, which is perhaps why this one feels so disappointing, but really, I’m just not that excited. What do you all think? Am I being too harsh? Is there some level of creative brilliance I’m missing? Am I perhaps too saturated from staring at patterns for my Kibbe posts? Or is this issue really that disappointing? There are certainly styles I like, but I just feel sort of emotionally detached from this issue as a whole. Are you excited for this month or does this feel like a sort of catch-all issue for orphan patterns? Feel free to discuss in the comments! For the first time, I feel like I gotta disagree with you. Sorta. Overall this issue is not nearly as excitiing as what we’ve been getting this year, that’s true, but the jacket up top – the burgundy version and the two-toned one – is absolutely on my to-sew list! Perfect for everyday use (for me, anyway) and taking the dog for a walk. The green blazer is also super nice, really like it. Also really like the basic button down blouse – the cuffs are not what I’d use though, easy roll-up cuff are necessary to wash paint brushes, so I’d have to change that. For some odd reason I’ve had the wish to try sewing a faux fur coat and the pattern in this issue looks easy enough for me to give it a go. All in all, can’t wait to get the issue! Finishing up another Burda bolero (this is one pattern I know how to do, I sew them for my self every year) and start tracing the winter jacket from the previous issue. I feel like this might be a sleeper issue for me… it’s definitely a cake issue and not a frosting issue, that’s for sure. I can totally understand why those patterns stick out, as they seem quite practical. And I’m sure I’ll find stuff I want to sew later – I do like that blazer quite a bit – but nothing is really grabbing me this month and inspiring me to pull out fabric. Regarding Melania… I’m not so sure she is, but it’s great that my blog readers are so kind. I only like the one pullover top (hoodie) in this issue. Re the rayon culottes, it is warm enough in the southern US to wear these in November. And it is in Fall colors. Just saying. Also, people in the southern hemisphere are going into their warm-weather season. Yeah, I live in the southwest so I could totally wear them on Thanksgiving if I wanted to, but I like to pretend we have real fall and that I wouldn’t. I did think about the Southern Hemisphere too, which would totally enjoy this style going into the spring/summer months. But I still think it’s the least interesting pattern in the issue, regardless. The contrast kangaroo pouch pocket looks like a maternity panel and in any case why would I want to call attention to my abdomen even if it weren’t poochy? Love the sheath dress with interesting seaming, that’s one of Burda’s strengths. I do see what you mean about this being an issue of leftover designs thrown together. That said, I adore the teal blazer and I can see me making the blue seamed dress and the knit top. I’m curious to try the wrap dress too which looks like it has no waist seam. Honestly that is enough patterns in an issue to get a thumbs up from me! I will buy this issue for the blazer. I have been thinking of making one for impending job interviews, and I love the not-classic collar in this. Though all your posts about Kibbe now have me this thinking: would this be a god pattern for a theatrical romantic, do you think? I think the blazer could totally work for a Theatrical Romantic – it has waist emphasis and a mix of soft and sharp lines. 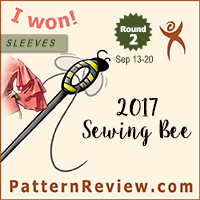 It’s my personal favorite pattern this month, even though I didn’t pick it as the Best of BS award. Agree that the kids costumes are very odd for this time of year. I’m quite surprised by your comments about this issue… But I can see that the designs are maybe less exciting then the October ones. Also, as you mentioned I’m seeing a lot of repetition too (wrap tops and dresses, etc.) However, for once, these patterns are exactly what I wanted! I saw this fantastic faux fur fabric and here it is, the perfect coat pattern for it! And I’ve been keeping this dark teal wool gabardine fabric in my stash for a while, it will finally be put in good use for the pantsuit! Moreover I just bought an ombre jacquard cotton fabric that will be perfect for the short jacket. I like all the dresses and I’m planning to make the blue one in denim to wear as a smart casual dress. I like the top with the pintuck, as well as the hoodie and the jersey top with the side gather. I can also see an outfit made out of the pintuck top and the weird culottes/pants if made of a more substantial fabric and worn with slouchy boots, very hippie chic non? As always, your Burda reviews are the best, you are very generous to share your sewing/wardrobe planning passion with us! As for Burda – not a lot rocks my socks in this issue. Happily, living in Australia exempts from needing to think overly hard about current US politics…. Thanks for the review! And while there is some vibe of incoherence/leftovers, I still got excited about two plus dresses, with black trim and black/flowery print from the preview. Because these are such a solid well drafted garments. Also asymmetric gathered top and blue dress getting my thumbs up. And wrap dress. But those cullotes are (still) so beyond me styling wise, in all seriousness. Happy sewing! I do think the plus designs are quite good this month. I love the swan costume, but I immediately thought of Bjork and her swan dress. Yeah, that’s where everybody else’s brain went too. I absolutely agree with you. I think the November Burda Style issue is quite underwhelming. There is nothing really exciting or new apart from one shirt and the faux fur coat and there are far too many repetitions. There has been one major change in the November issue that you didn´t mention – at least in the European issue I use. When it comes to sewing instructions Burda Style has decided to cut down on fabric layout diagrams, something I find is a basic piece of information which should be included in every pattern instruction and usually is included in all sewing patterns published by well known professional companies. I find it quite odd to cut down on something as important as this. Do your US-Burda-Style sewing instructions still include fabric layout diagrams for each sewing pattern? So I checked and my November issue is leaving out the fabric layouts too! The October issue had them, but it turns out the Fall/Winter Burda Easy doesn’t. How are new people supposed to learn if they don’t see a fabric layout? This will bear further scrutiny in the next issue. Thank you for letting me know. I was just curious. I don´t get how Burda could do something that stupid. Every sewing magazine I know does have fabric layouts. It is really hard to sew without them even for experienced sewers, especially if one wants to sew a more ambitious pattern with 10 or more pattern pieces. Only very few of Burda Style´s readers are pros I´d say. I agree. Of all the things to cut out, that seems like one of the dumbest they could choose. Hey this might be a super basic question but do the patterns from Burda style usually end up being sold on burdas website too? And is it more economic in that case to buy the entire magazine or just the one or two patterns you’re actually interested in? 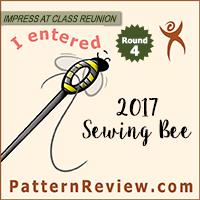 I love your reviews, they make me consider patterns that I normally wouldn’t like in a whole different light. It’s very helpful! Yes, they are available as PDF download. The US site usually gets them later than the German site, and the German site keeps a back catalog that is much older as well. If you only want 1-2 patterns per month, it’s more economical to download (especially if you don’t want something every month), but any more than that it’s better to subscribe to the magazine. I like the subscription because I enjoy having the magazine and I always find unexpected patterns I want to make when I look through it, but it does then start to take up a lot of physical space as you build a collection. I agree with you that it’s a bit of a dull issue. I was hoping for more great coats and didn’t get them! The Plus section is the best for me; the patterns are interesting and the model they used looks amazing. I like the wrap dress too. It seems odd to put Halloween costumes in the November issue. Mine didn’t arrive until the day after Halloween. Cute styles though. I think my kid would look adorable in the cape but I don’t suppose he’d actually enjoy wearing it so I’m not going to risk it. I’m shocked they’ve stopped doing fabric layouts. Although I have a sneaking suspicion that their layouts weren’t always the most efficient, so we’ll see if we all end up doing better on our own. I always *refer* to fabric layouts, but it does mean I *follow* them. Still, odd choice of space saving. Thank you, this was very helpful! You convinced me not to buy it. I’m really hoping to get some classical designs one day which can be changed easily after your style. Like some mom jeans or any type of classical high waisted pants or a long simple coat. It would me much more useful to me 😦 do you have any idea where could I find patterns like that? There are lots of places to get patterns like long simple coats. Do you prefer one of the more established brands or indie brands? Also, paper or PDF? I think the jeans will be easier to find from the indie companies. The plus coat is pretty fabulous, I agree!! I also like the neckline on the dark floral plus top, but again, why so much volume, Burda!?!?!?! ?